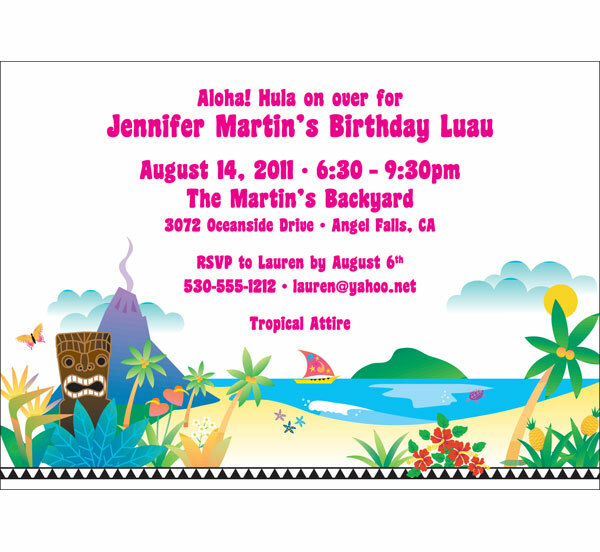 Party411.com can personalize your luau party invitation.These luau party invitations will "lei" you out. 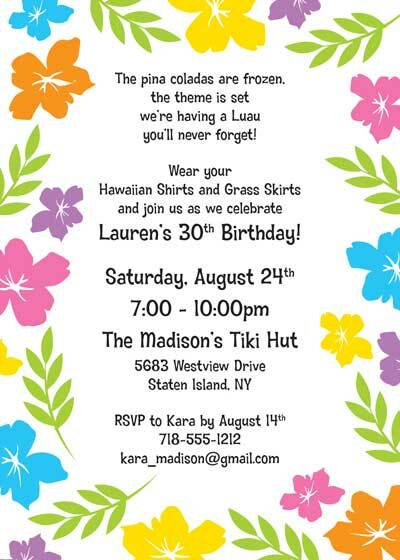 Invite your guests to a tropical paradise! 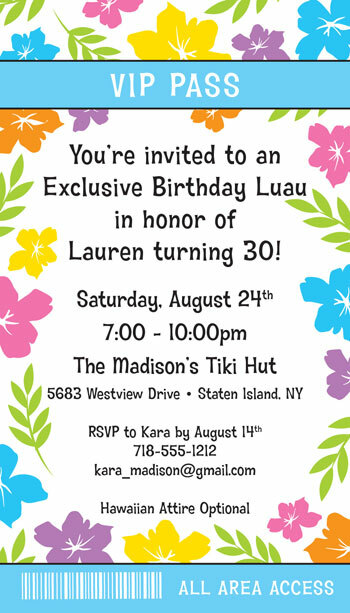 Great VIP passes for a Luau Party! Nothing like a relaxing day at the beach or at your party. Let the world know how good you look in your bathing suits! 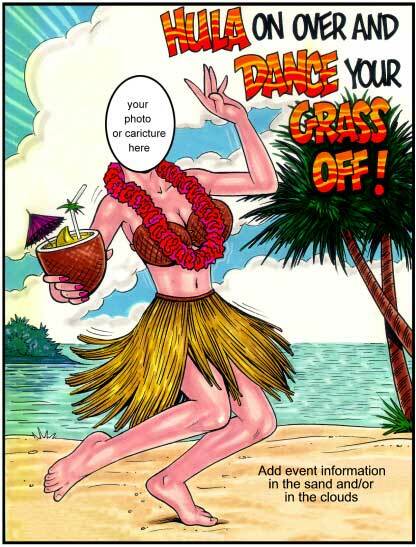 "Dance your grass off!" makes me laugh. Hawaiian shirt, shorts and sandals. Head to the beach! 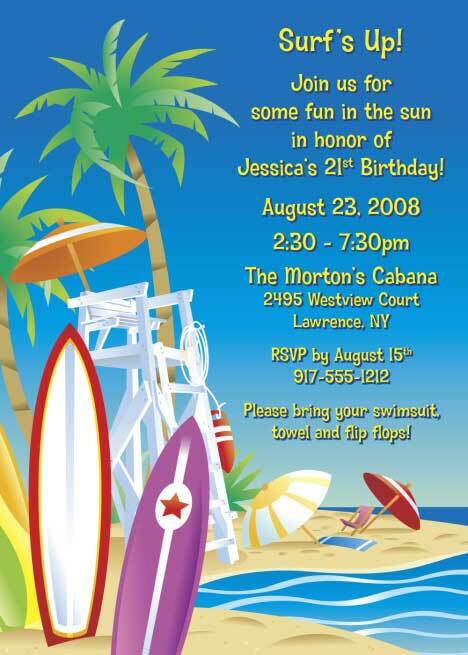 Party on the beach!! What fun. Cool cocktails, cool people, cool party! Warm breezes, cool drinks. 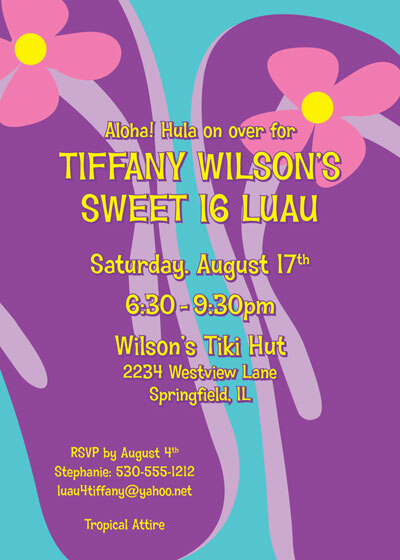 Hula on over! 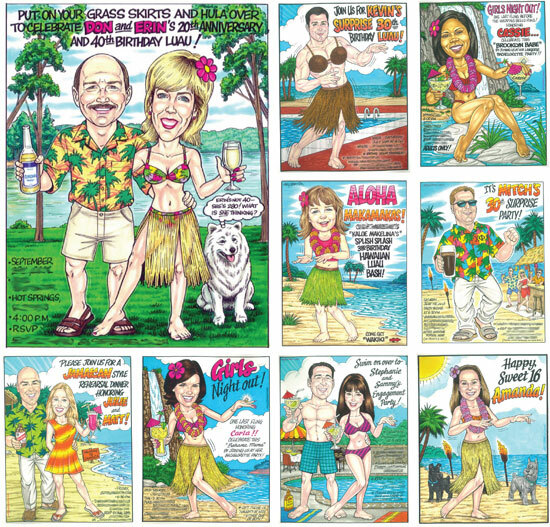 Get ready to party with a truly one of a kind luau party caricature invitation. Graduation is here. Time for some fun in the sun! Torches on the beach. Aloha! Pool parties are fun. 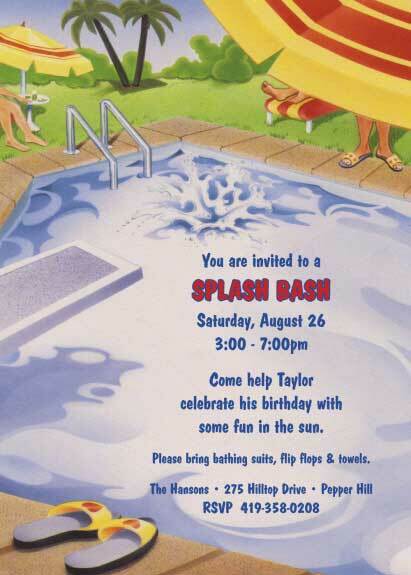 Have a splash bash! Think of warm beaches in February. Nice. Surf's up! Let's have some fun in the sun.